It’s Friday night and you want to dance? Check out The Werks at Bottom Lounge. 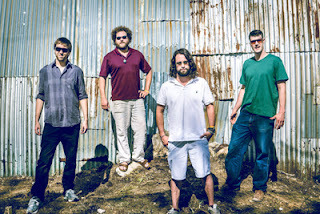 This group labels their music as “psychedelic dance rock” which brings a unique spin on a jam band. Seeing them live is the way to do it so you can join in on the dance party! Catch them before they head off on their summer tours at festivals like Electric Forest, Wakarusa, Camp Bisco and more. You can purchase tickets here. Doors 9 p.m., show 10 p.m. $12 advance, $15 at the door. 17 and over. Listen to The Werks' self-titled album via Bandcamp and watch the video below for a preview of what the band is like live.